Richard leads the Shikatani Lacroix Design creative vision and produces results that flawlessly integrate with all aspects of a client’s business and design strategy. With more than 20 years of industry experience, Richard provides our clients with strategic creative, effective and efficient design solutions for corporate, environmental and digital projects. His hands-on and innovative design approach guarantees that all SLD solutions meet and exceed brands’ strategic objectives, delivering emotional connections with consumers through great design. 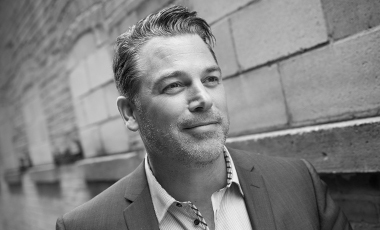 During the time that he has been with SLD, Richard has driven creative design for clients such as the Toronto Blue Jays, Cineplex Entertainment, Cox Communications, The Source, TD Bank, Second Cup, Pepsi QTG, Labatt, Tetley and Moosehead. His approachable and optimistic personality, in combination with his original and creative approach to design, provide for award winning design for both clients and the Shikatani Lacroix Design team.